Offered for the first time since 1957, this unique property consists of 3 separate contiguous parcels, totaling approx. 2.36 acres. Owned by a Caltech professor, & an artist, this property has been enjoyed by the same family for 62 years. Tucked away on quiet Maiden Lane at the top of Mount Lowe Drive, this property is located near trails & set against the backdrop of the San Gabriel Mountains on its own wooded flat land. This serene retreat offers natural beauty & a private setting for the light-filled 1920 Italian Revival style home. The main level of this light-filled home offers 4 en-suite bedrooms plus an office with French doors. The formal living room has a dramatic 13' high barrel ceiling, fireplace, French doors & triple arches with views of the rear yard & mountains. The over-sized dining room has a 9' ceiling, natural light on three sides, & features French doors & original plaster molding relief with pomegranate details. In addition to the main living space, there is a spacious lower rumpus room (~440 sf) with river rock fireplace, which would be a great space for recreation or could be made into a media room. 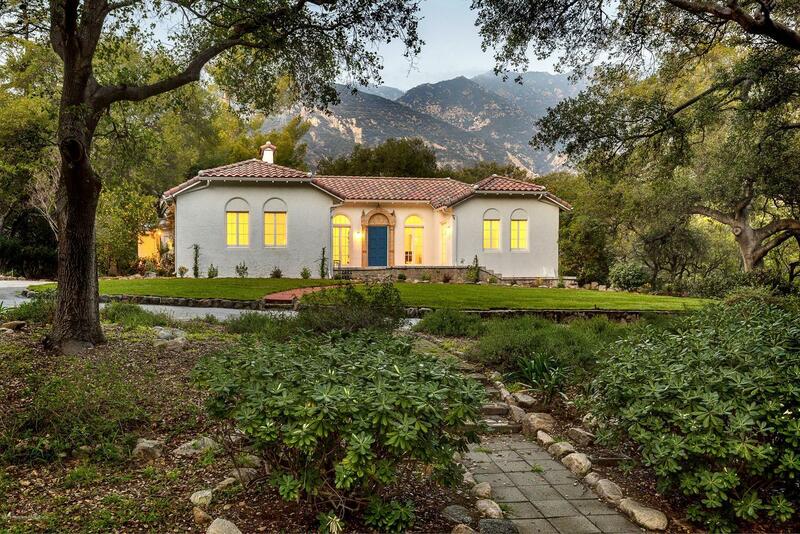 This is a rare opportunity for the next owner to own their own quiet & magical retreat in the foothills of Altadena.